A member of FDNY has died after falling off a ladder while battling a two-alarm fire in Ridgewood. 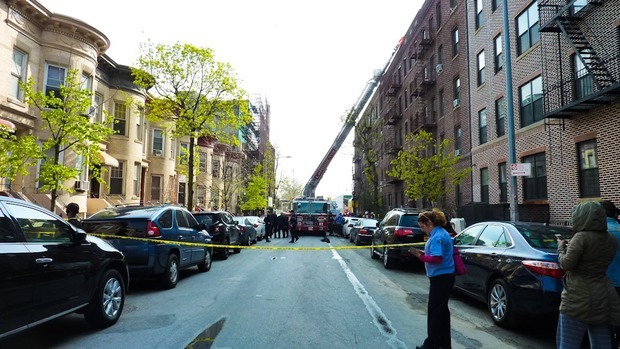 A member of FDNY has died after falling off a ladder while battling a two-alarm fire in Ridgewood on Thursday afternoon, it was reported. According to the Fire Department, the blaze ignited at 2:19 p.m. on April 20 inside a five-story building at the corner of Wyckoff and Putnam avenues. More than 100 firefighters from 25 units responded to calls about the blaze. According to police sources, the firefighter, a member of Ladder Company 135 based in Glendale, ascended up a bucket ladder and was working to fight the fire on the roof when he fell. Video captured on Twitter showed a group of firefighters quickly wheeling a gurney carrying their injured partner into a waiting ambulance that was sent to Wyckoff Heights Medical Center, where he reportedly died a short time later. Three residents inside the dwelling were also taken to Wyckoff Hospital for injuries that do not appear to be life-threatening, the FDNY said. Firefighters brought the blaze under control just before 3 p.m.; the cause is under investigation. Mayor Bill de Blasio, Fire Commissioner Nigro, City Council Members Antonio Reynoso and Elizabeth Crowley and Public Advocate Letitia James attended a press conference at Wyckoff Hospital, where they offered condolences to Tolley’s wife, Marie, and their 8-year-old daughter, Bella. The family resides in Bethpage, Long Island. 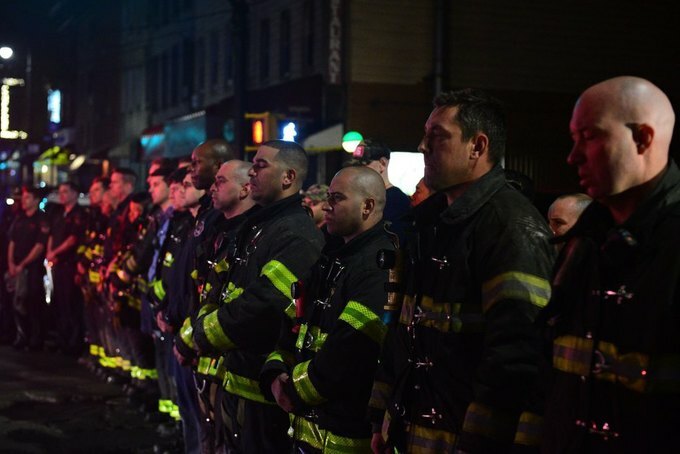 Tolley is the 1,147th member of the New York City Fire Department to be killed in the line of duty. 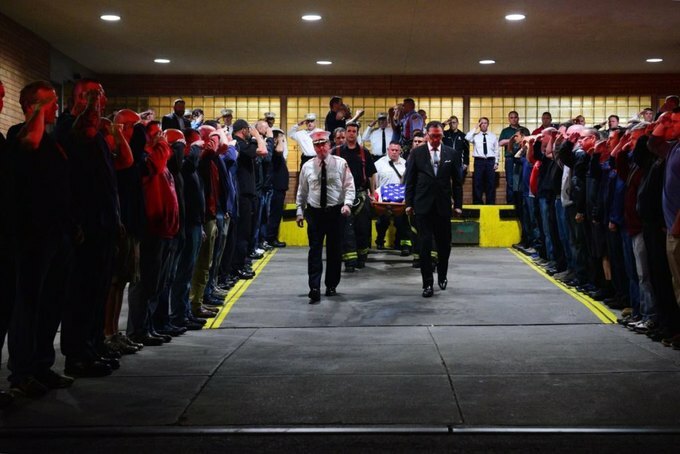 On Thursday night, firefighters saluted Tolley as his body was transferred out of Wyckoff Heights Hospital, with Commissioner Nigro leading the way. Image courtesy of the NYPD Twitter. This story originally appeared on QNS.